ScholarMatch is a dynamic team of talented and passionate professionals. Click here to learn about opportunities to join our team! Diana is a native Californian and a graduate of the University of Notre Dame. She holds Masters degrees from Saint Peters College and The London School of Economics. Her experiences in Teach For America, classroom teaching, and working abroad drive her passion for increasing access to higher education for under-resourced students. Since joining ScholarMatch in 2011, Diana has led it through gaining 501(c)3 status, significant program expansion, and developed the ScholarMatcher, the first-of-its-kind college search tool built to combat undermatching in low-income students. When she is not analyzing college data or evaluating program outcomes, Diana can be found running around with her three young children. Veronica was born in Mexico and grew up in the Bay Area. She is a graduate of Wheaton College in Illinois and holds a Master’s in Student Affairs from UCLA. She has nearly 10 years experience in college access and student affairs. As a first generation college graduate from a single-parent immigrant household, she is passionate about supporting the retention and success of first generation, underrepresented students in higher education. While at Wheaton College she founded and directed a college access program for low-income and first-generation college-bound high school students from the Chicago area. In her previous roles within higher education institutions, she has supported campus level diversity initiatives and provided advising and career support to first generation college students. She is motivated by her desire to inspire and empower underrepresented students to be leaders in their communities and institutions of higher education. 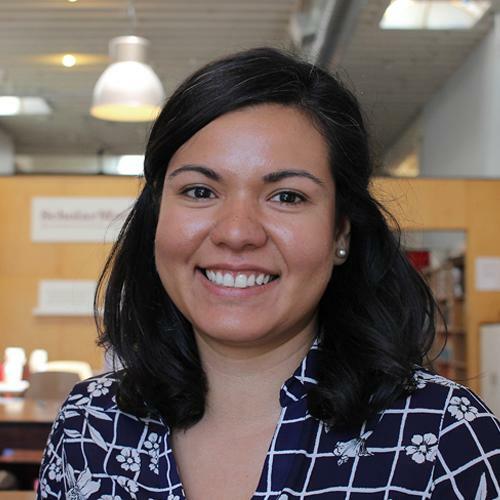 Juliana joined the ScholarMatch team in 2013, and now leads ScholarMatch’s internal people, culture, and wellbeing support, and oversees our development efforts. Over the years, she has championed the work of a variety of organizations working to create empowered, compassionate communities, on staff and as a consultant and coach. She holds a BA from Guilford College, an MA from Central European University, has completed post-graduate work at the Inter-University Centre in Dubrovnik, Croatia, and holds a Certificate in Applied Positive Psychology from San Francisco State University. In her free time, she has a dedicated meditation practice and loves teaching mindfulness to communities in the Bay Area. 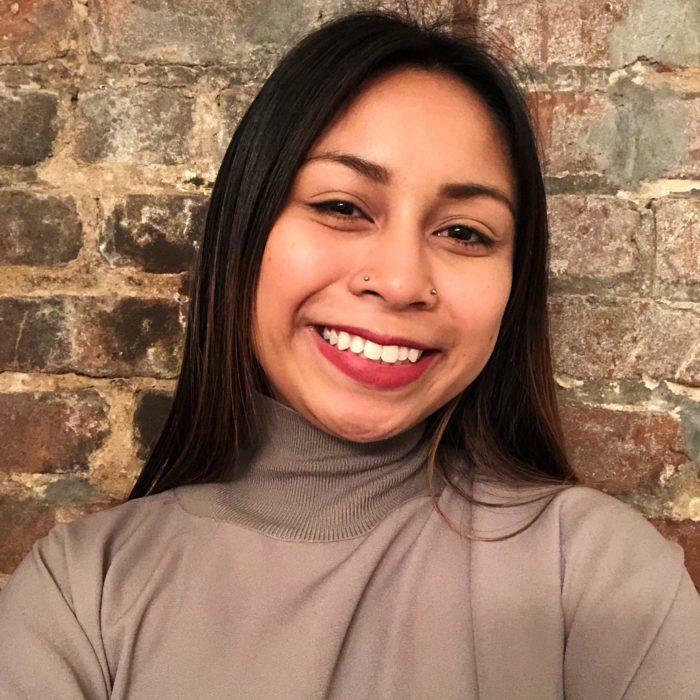 Drawn by a passion for youth education and empowerment, Vanessa joined ScholarMatch as Director of Generosity in November 2018. In this role, she focuses on cultivating and sustaining relationships of mutual support and generosity among ScholarMatch’s donors, volunteers, students, and alumni. Over the span of more than a decade raising funds for organizations like the YMCA, Outward Bound California, and Impact Bay Area (where she serves on the board), she has come to see her role as a bridge builder between donors who want to do good and nonprofits that are making that good happen in the world. She holds a BA in English from Stanford University and a Masters degree in Nonprofit Administration from the University of San Francisco. If she’s not at the ScholarMatch office, you can likely find her hiking, biking, teaching self-defense, or settling into a good book. Nicholas is originally from St. Louis, Missouri and is a first-generation college student. He received his bachelor’s degree in Communication from Purdue University in West Lafayette, Indiana and his Master’s degree in Higher Education Administration from Northeastern University in Boston, Massachusetts. 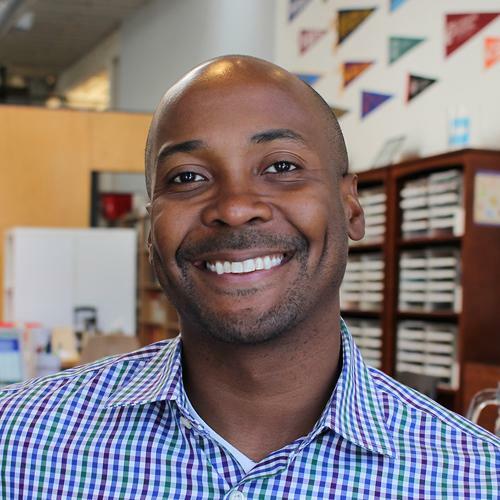 Nick brings more than 10 years of experience in admissions, college counseling and advising, career counseling and advising and program management to his new role at ScholarMatch. He is passionate about working with students and families and helping them to understand the power of social capital and positive support networks in achieving their goals of higher education. When Nicholas is not reviewing college essays or offering financial aid advice he can usually be found watching the latest Food Network show. 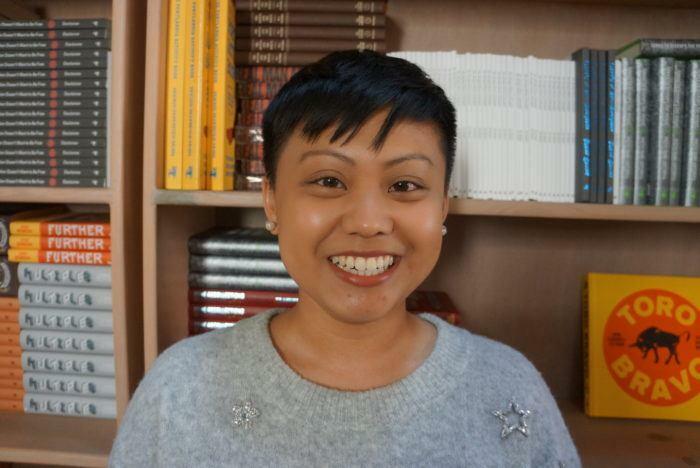 As a former refugee and first generation college graduate, Jenny is passionate about utilizing holistic and strengths-based approaches in creating equitable opportunities for low-income students. Her family’s migration and cultural identity experience, coupled with inherent social justice values and trips to the world’s most impoverished urban centers, locally and abroad, have propelled her relentless commitment to the prosperity and transformation of underserved communities. Jenny has over fifteen years of management experience in the nonprofit sector; she has shaped and led the design, implementation, and management of a breadth of student-centered programs that improve educational equity, and increase college access/higher education, socio-emotional, quality of life, and development outcomes. 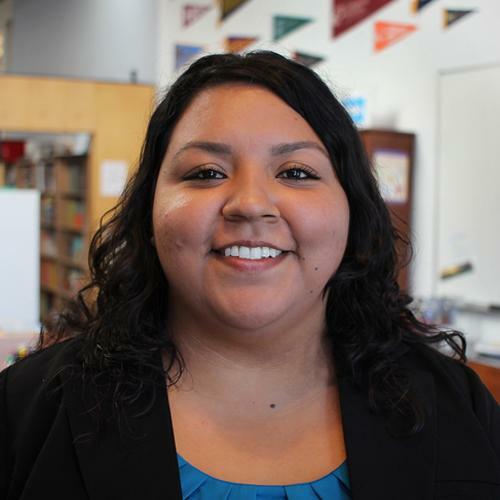 Jenny is energized by her vision to see all underrepresented students realize their full potential and become empowered change agents in their very communities. She holds a BA in Psychology and Social Behavior and a minor in Education from UCI, and a Master of Social Work from USC. She lives in East Los Angeles with her husband and two energetic children, where they enjoy exploring and finding hidden gems in the city. Jenny loves all things food (consuming, cooking, smelling), DIY projects, and clutter-free organization! Lisa’s parents, of Mexican and Guatemalan heritage, immigrated to the United States. Inspired by their struggles, Lisa has been involved in the fields of education and service since high school. Born and raised in South Central Los Angeles, CA, Lisa traveled north to attend the University of California, Berkeley where she earned her Bachelor of Arts degree in American Studies with a concentration in minorities and education. Lisa has over 10 years of college access and college persistence work; she is passionate about empowering students to lead their life with purpose, intention, and action. 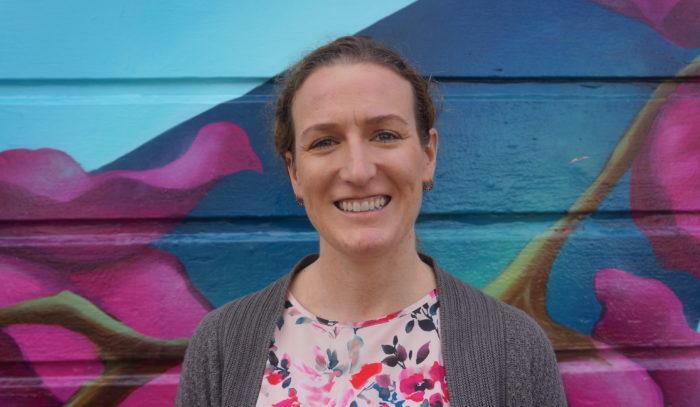 Prior to joining ScholarMatch, Lisa worked for KIPP Bay Area Public Schools as a Director of College Counseling and a College Persistence Manager. Outside of work, you can find Lisa dancing as part of an Afro-Brazilian dance company or spending time with friends and family. Monica is passionate about higher education and helping first-generation students achieve their college and professional goals. As a native to San Diego, she participated in a similar high school program called AVID (Advancement Via Individual Determination), which led to her admission to Saint Mary’s College of California. Monica has extensive experience in career advising for college students and nonprofit volunteering. Since joining the ScholarMatch team in 2014, she has spearheaded the expansion of our College to Career program—ensuring that all students are given the one-on-one support they need to graduate college and launch a successful career. When Monica is not advising college students, you can find her cheerleading with the CHEER San Francisco nonprofit team or baking some delicious treats! Marilyn was born and raised in South Los Angeles. Her parents immigrated to Los Angeles from Mexico, and although neither of them attended college, they instilled the importance of education, hard work, and determination at a very early age. Marilyn holds a bachelor’s degree in English from Cal State Northridge and earned a Master’s in Public Administration from USC. 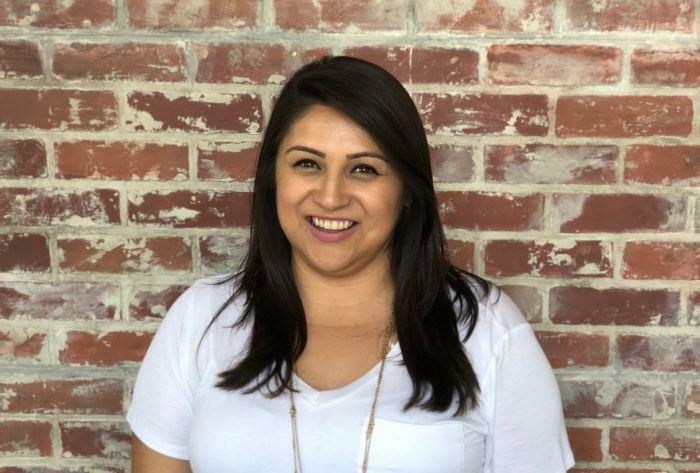 Marilyn has over a decade of experience working with community-based organizations, developing cross-sectoral partnerships to improve student achievement in some of Los Angeles’ neediest communities, including South LA, Boyle Heights and Watts. 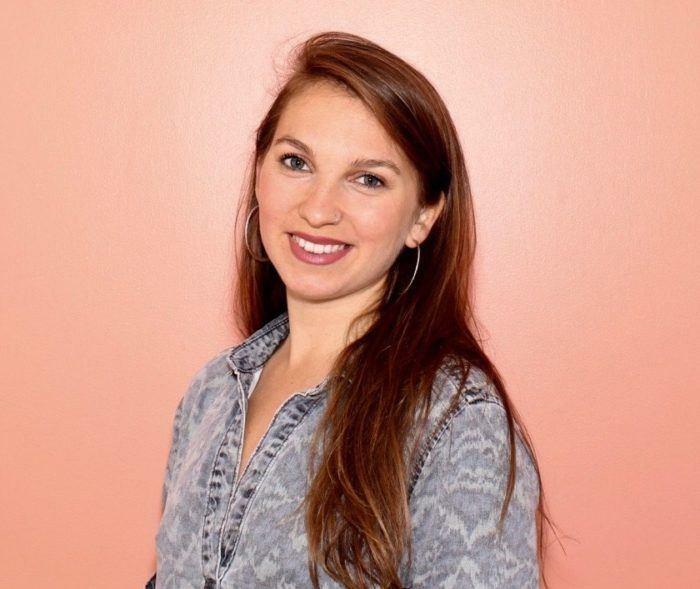 She is a product of a college access organization and strongly believes that organizations, such as ScholarMatch, are helping close the opportunity gap for low-income, first-generation college students. Marilyn is fluent in Spanish and American Sign Language. Her favorite things to do are exploring the wonderful city of Los Angeles with her daughter, dancing, and having brunch! Kate is a native Californian, a first-generation college student, and a graduate of the University of San Francisco. She holds Masters degrees from Teachers College, Columbia University and University of San Francisco. She is a lifelong educator holding multiple roles in the field including teacher, literacy instructor, researcher, school counselor, and policy maker. Kate was inspired by her father who dropped out of college to complete college herself and this motivates her in supporting students as they embark on their own college journey. She is motivated by student stories of strength, resiliency, and enjoys seeing students’ growth overtime. Kate enjoys supporting and learning from volunteers and corporate groups as they support students in exploring college and career paths. 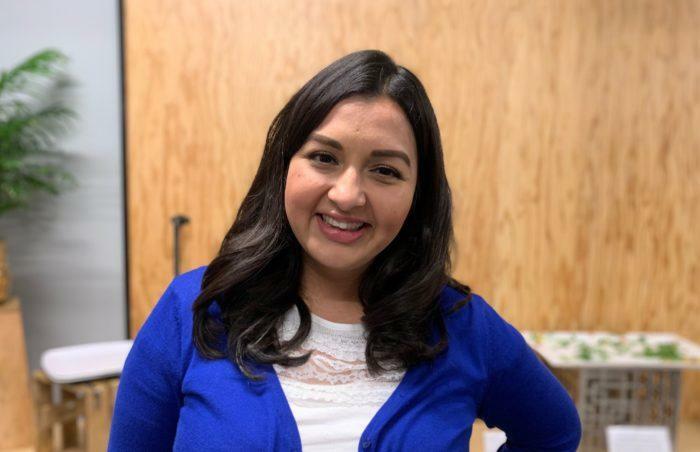 Nirvana is a first-generation college graduate from Eastside San Jose, whose experience matriculating through under-resourced schools fuels her passion for education equity. While in college, Nirvana facilitated college readiness workshops for underserved high school students across California and gained skills to spark social impact through her internships at the Oakland School Board, the Marcus Foster Education Institute, and the Lawyer’s Committee for Civil Rights. Nirvana is a proud Golden Bear who graduated from UC Berkeley with a BA in Social Welfare, and an even prouder ScholarMatch alumna. When she is not supporting college students or tweeting about all things #HigherEd, Nirvana loves burying herself in a book, thrifting, and sippin’ on milkshakes. Jonathan is originally from Hong Kong, China and is a first-generation college student. He received his bachelor’s degree in Mathematics and Economics from University of California Los Angeles and his master’s degree in Business Analytics from California State University East Bay. Jonathan brings his expertise in data analytics, data modeling and database management to his new role at ScholarMatch. He is passionate about using his skill-sets to bridge the gaps between students, counselors and ScholarMatch, and is excited to be a part of a team that helps students achieve their goals of obtaining a higher education. When Jonathan is not tinkering around databases, he can usually be found playing volleyball, role-playing with his toddler, or looking for a new recipe to try. Leigh Ann moved to San Francisco from Long Beach, California in 2010. In 2014, she received a Bachelor’s degree in Art from San Francisco State University. There, she strengthened her passion for cultivating community. 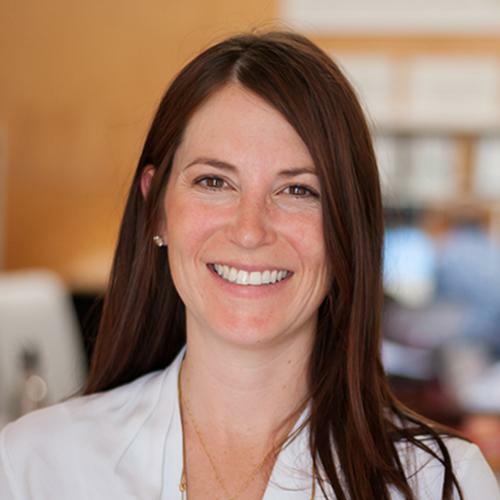 Following her graduation, she pursued a career as a non-profit administrator, serving local community-focused non-profits such as Root Division, ArtSpan, and SFMOMA. Her introduction to large-scale event fundraising and capital campaigns at Root Division laid the foundation for her career in development, guiding her to ScholarMatch in January 2019. Leigh Ann is delighted to be apart of the ScholarMatch community and support underserved students. Outside of the ScholarMatch office, you will find her teaching art classes, enjoying the beach, or gardening. Alma is a native Californian who was also raised in Acapulco, Mexico. She has worked with students for almost 20 years in various capacities and settings. She started as an enrollment officer at East Los Angeles College, where she began her studies. While at UCLA she tutored and advised students in South Central and Huntington Park, where she grew up. 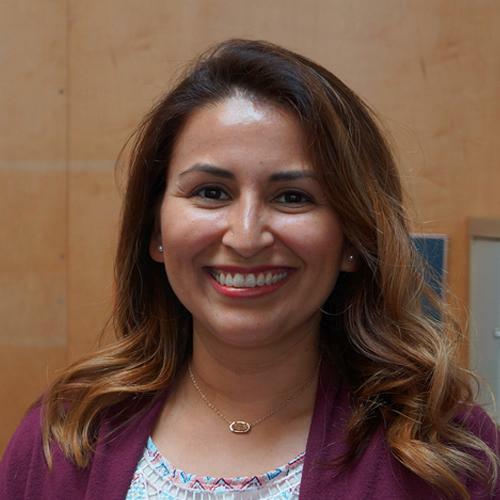 As the first in her family to go to college, she became interested in learning about educational equity, and went on to complete a Masters in Counseling at CSU Northridge and a predoctoral internship at UC Berkeley. She lived in NorCal for three years while working for the EAOP and Cal-SOAP programs assisting students become college-ready. She returned to SoCal for her doctoral studies at UC Irvine where she graduated from in 2016. When she is not working with students, she enjoys spending time with her two daughters and partner, performing artist Propaganda. Francisco is a native Californian from Los Angeles, the son of Mexican immigrants, and he is the first male in his family to graduate college. He graduated from California State University, Northridge and holds a Bachelors degree in Sociology. His 12 years experience in working with at-risk youth and families in the non-profit sector have given him the tools to assist those that are in need of increasing access to higher education and social services. He has developed and coordinated programs for low income communities that assist in Life Skills, Counseling, Crisis Intervention, and increased academic enrichment and career planning. He is dedicated to his passion which is to see today’s youth succeed and to make sure they are well prepared for the world of tomorrow. A first-generation college student originally from the East Bay, Oliver graduated from UC Santa Cruz with a Bachelor’s degree in Psychology. 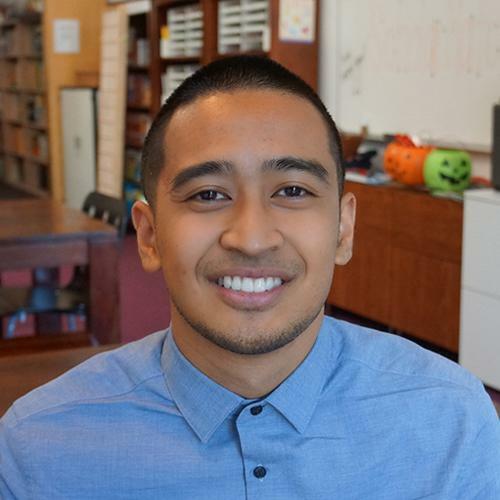 While at UCSC, he helped lead A Step Forward (ASF), a student initiated outreach program that aims to promote higher education to students coming from underserved communities throughout California. 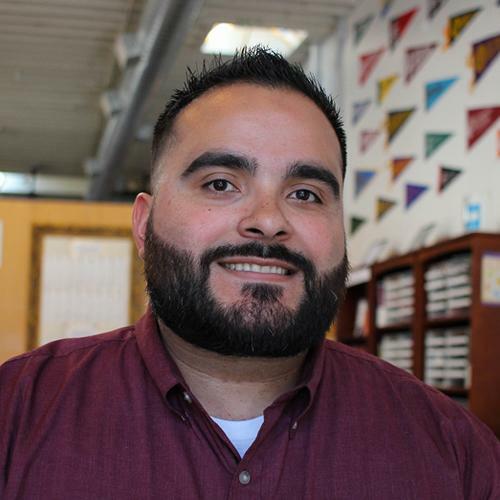 After college, he worked as a College Adviser at KIPP King Collegiate High School in San Lorenzo, supporting students in preparing for college. Oliver is passionate about supporting youth in navigating their college journeys and pursuing their goals. In his free time you might find Oliver cheering on the Warriors, or walking his dog. Timothy Huynh grew up in Connecticut as the son of Vietnamese refugees. He is a first generation college student, graduating from Syracuse University with a Bachelor’s of Arts in Psychology and a minor in Asian/Asian American studies. His passion for working with college students grew from experiences in student leadership and advocating for underrepresented populations on campus. 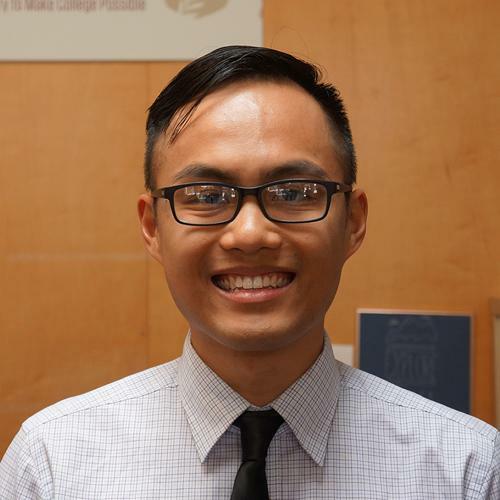 While attending the University of Southern California for his Master’s in Student Affairs, he worked with multiple mentoring programs for queer and first generation students. 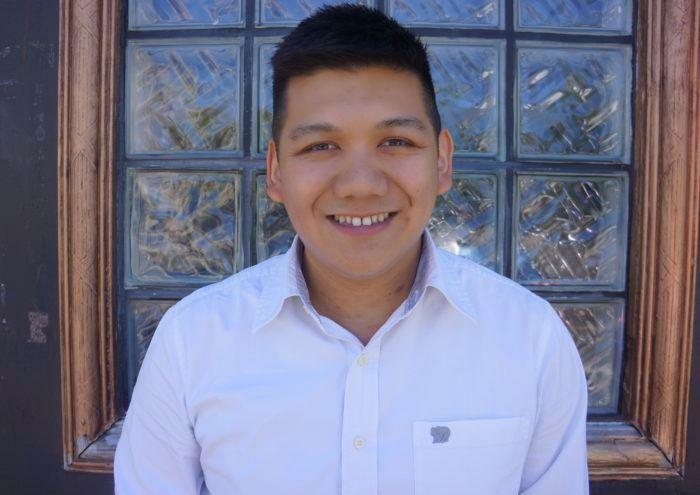 Timothy is excited to contribute his passion for providing access and equity to ScholarMatch. When he’s not meeting with students, you can find Timothy baking up something sweet in the kitchen, playing video games, or hunting for the next great spot to eat with his two dogs Sonny and Otto in tow. Kimberly was born and raised in Los Angeles, CA. She is the daughter of immigrant parents and the only sister out of 5 siblings. Kimberly received her BA in Human Development from the University of California, San Diego and minor in Chicano and Latino Studies. She then became the first in her family to graduate from college. Kimberly has been working with college access and retention programs with the goal of guiding and counseling low-income, first generation students to strive towards academic and personal excellence. She believes that all students have the right to obtain a higher education regardless of the obstacles they may encounter along the way. Some of Kimberly’s obsessions include drinking coffee and eating hot cheetos. At the age of 12, Sam Lozano immigrated to Maryland from the Philippines. Growing up in Baltimore City, Sam understands firsthand the effects of poverty and the life-changing impact of a higher education. She graduated from Towson University with a Bachelor of Science in Mass Communications. In college, Sam volunteered with Students in Service AmeriCorps and was a member of the Baltimore Collegetown LeadersShape program. Before joining ScholarMatch, she worked for the CollegeBound Foundation, a college access and scholarship organization dedicated to helping Baltimore students. 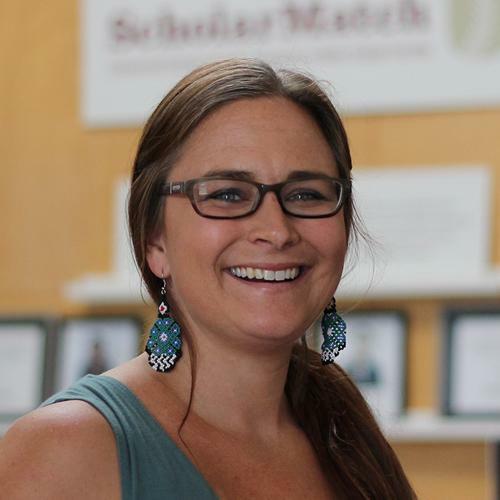 Her passion for educational equity has fueled her desire to join ScholarMatch. Sam is eager to user her experiences to support the continued growth of the Destination College team and empower first-generation students with their goal of achieving a college degree. Marisela grew up in the Bay Area but is originally from Mexico. She is a first generation college student and graduated from UC Berkeley with a Bachelors of Arts in Sociology and a minor in Chicano Studies. She spent her college years volunteering and advocating for immigrant rights. Marisela is passionate about education and believes every student should have the opportunity to get a college education. 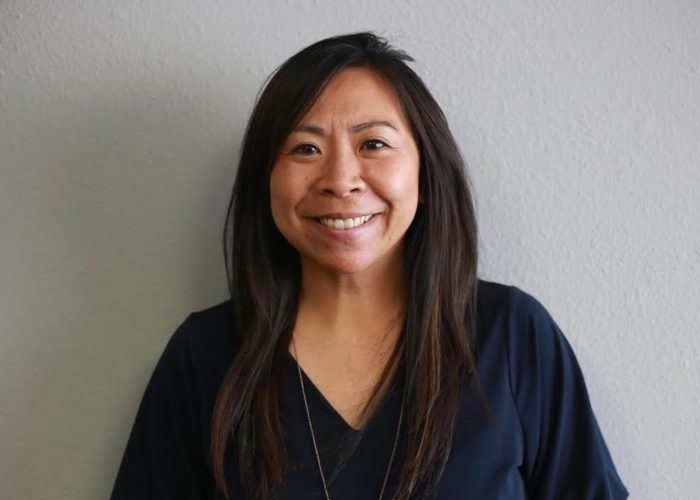 She has experience in college advising from her previous role as a college advisor, a position that has motivated her to continue working with college-bound high school students. She knows first-hand that as a low-income and first generation student, you don’t always have the support or financial resources to attend college, which is why she wants to help students receive the support and information to make college possible. Marisela habla español y está aquí para ayudarle. Hannah hails from the green mountains of Vermont. After studying International Affairs and Gender Studies at the George Washington University, she pursued her passion for social justice through an Americorps nonprofit leadership fellowship, which fatefully landed her at the doors of ScholarMatch in 2014. 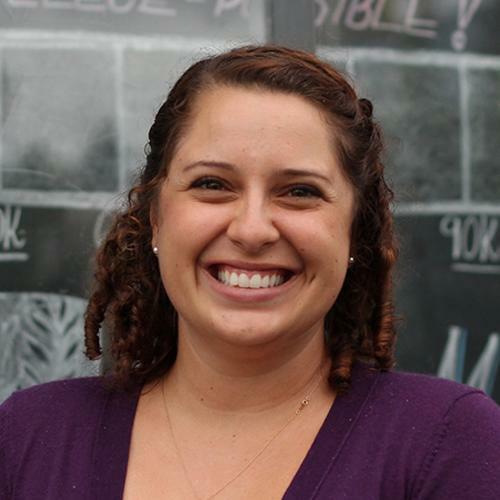 She taught our College & Career Readiness curriculum and initiated ScholarMatch’s corporate volunteer program. In 2016, Hannah was granted a Fulbright English Teaching Assistant (ETA) Fellowship at the Federal University of Rio de Janeiro in Brazil. During this year she perfected her Portuguese, studied Afro-Brazilian dance, and volunteered with Instituto Promundo, an organization that engages men in exploring positive masculinities and preventing gender-based violence. To culminate this experience, she was able to fulfill her life-long dream of backpacking independently up the western coast of South America for three months. Now Hannah is thrilled to be back at ScholarMatch to continue supporting students in making their own dreams a reality! Hannah habla español y esta aqui para ayudarle. Ela fala portugues também e sempre tem vontade de bater papo na língua mais linda do mundo! Leo was born and raised in San Francisco. After graduating from SFUSD schools, he left the Bay to study at Oberlin College and Conservatory, where he earned degrees in History and Music. 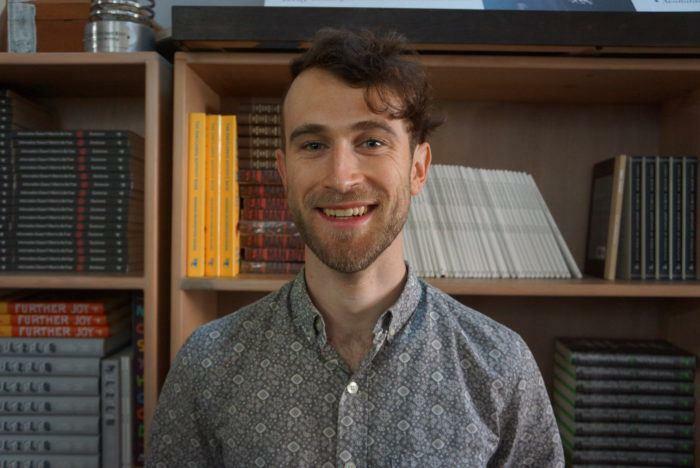 Leo’s passion for equity in education is rooted in his experiences teaching music and languages, tutoring writing, and administering non-profit programs in SF, Oberlin, Panama, and Austria. In particular, his work with the Ninde Scholars Program in Oberlin sparked his conviction in the value of carefully delivered college access mentoring. Leo is honored to be a part of the ScholarMatch family and to support the Virtual Destination College program. Outside of work, Leo can be found running and cycling around the city, and checking out too many books from the library. Paola is a first generation college graduate and cultural worker who is passionate about education and youth development. 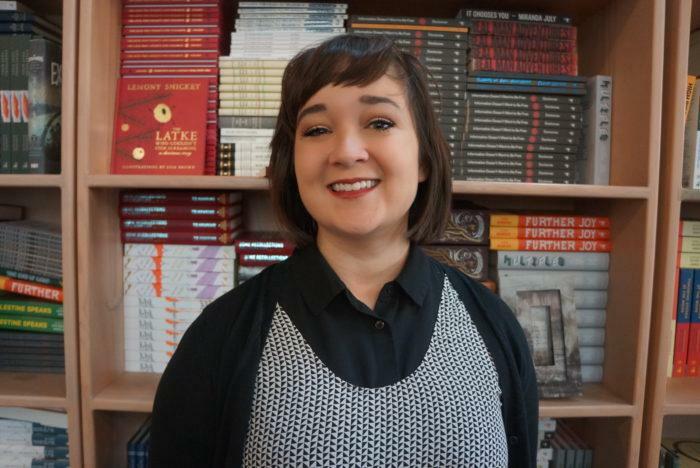 She graduated from Skidmore College in 2014 with a Bachelor’s degree in Sociology and a minor in Studio Art and Intergroup Relations. While at Skidmore, Paola co-facilitated a semester long intergroup dialogue focused on race and social identity and led initiatives focused on migrant rights, education equity, campus climate, and racial justice. 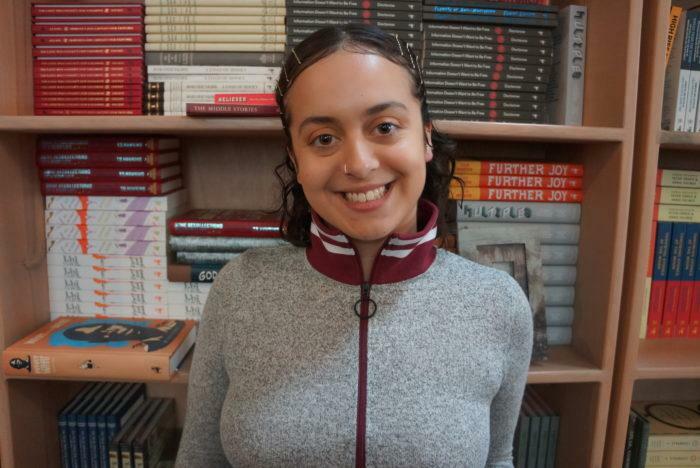 Growing up in a low-income, mixed-status home Paola understands firsthand the challenges of navigating the higher education system and is passionate about supporting students on their journey to and through college. 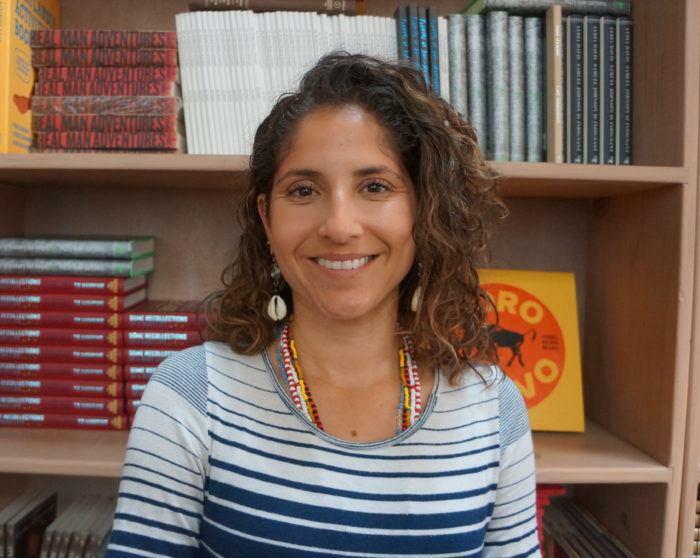 As an educator Paola has held the role of Founding Visual Arts Teacher and Teaching Artist where she developed curriculum focused on self-expression, using art as a tool to promote social justice, and art as a source of healing. Outside of ScholarMatch you can find Paola getting her hands dirty inking a new linoblock, watching foreign films and documentaries, or baking. Thamara is a first generation college student who holds a Bachelor’s Degree in Global Development from Seattle Pacific University. 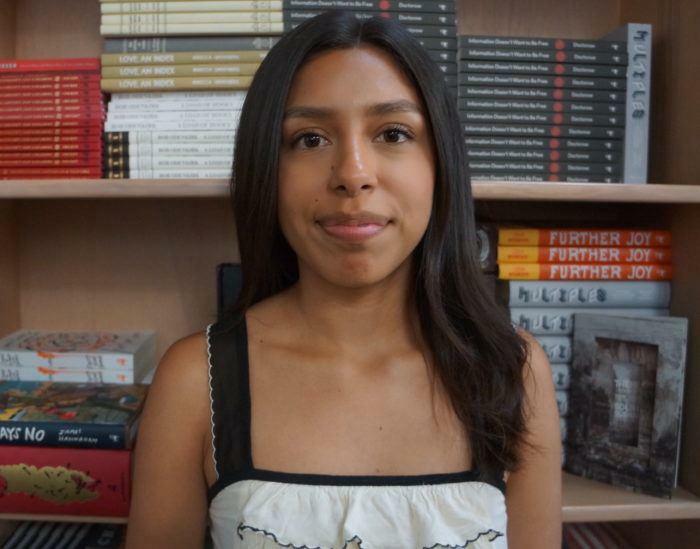 Thamara was born in San Francisco but was primarily raised in beautiful Nicaragua, a place that she considers home. As a first generation graduate and an alumni of ScholarMatch, Thamara acknowledges the importance of accessibility to education, especially in the context of limited resources. She is very excited and eager to join the ScholarMatch team and provide help to students that are underserved, a community she feels at home with. If you cannot find Thamara at ScholarMatch working with volunteers or students, then you will most certainly find her searching for a new place to dance Salsa or eat delicious vegan food!